Land twin and opposite of Uppervia, the ground harder and the radically different climate of the region makes it much harder to cultivate, the caravan route to Echiur is now abandoned for years. The region in conditions of neglect since the Fort of Via fell. 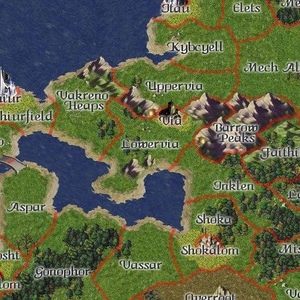 Only monsters and raiders move to these lands, the few settlers who travel trough this region are hurrying to pass. Stories tell of a den of pirates in the peaks to the south, pirates so prevalent in the salt lake and affect the lands of Echiur occasionally. This page was last modified on 3 March 2017, at 11:44.